Nov. 8, 2016 | Nov. 8, 2016 | Patricia A. Cowan, Ph.D., R.N., dean of the College of Nursing at the University of Arkansas for Medical Sciences (UAMS), and faculty member Debra Jeffs, Ph.D., R.N. were inducted Oct. 22 as Fellows of the American Academy of Nursing. The American Academy of Nursing has more than 2,300 Fellows, including nursing leaders in policy, practice, research, management and education. Induction signifies a responsibility to enhance the quality of health and nursing, promote healthy aging and human development, reduce health disparities and inequalities, and shape health behaviors and environments, among other goals. Cowan became dean Nov. 9, 2015. 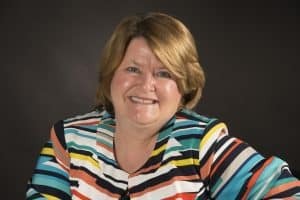 She came to UAMS from the University of Tennessee Health Science Center in Memphis where she was a professor and associate dean for academic and student affairs in the College of Nursing. Patricia Cowan, Ph.D., R.N., dean of the College of Nursing. “I am honored to be joining the academy’s distinguished fellows and look forward to working with them to advance health outcomes through education, practice, research, and policy,” Cowan said. Cowan holds the Linda C. Hodges Dean’s Chair, in which she was invested Aug. 4. She earned her Bachelor of Science in Nursing at the University of Missouri and her Master of Science in Nursing at the University of Kansas. Cowan received her doctorate in nursing science at the University of Tennessee. Debra Jeffs, Ph.D., R.N., adjunct assistant professor in the College of Nursing. Jeffs is an adjunct assistant professor in the College of Nursing. She is also director of Academic Nursing Education at Arkansas Children’s Hospital. She is board certified in nursing professional development. 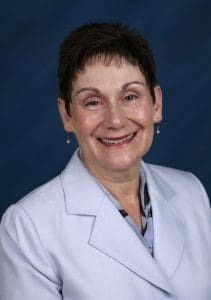 Jeffs has over 35 years of nursing experience and was previously at Excelsior College in Albany, New York, where she was a faculty member in the Graduate Program of the School of Nursing. Jeffs has led research projects in New York and Arkansas. Some of her most recent research, on the benefits of using virtual reality in pain management with adolescents receiving burn wound care, has been recognized nationally and internationally. Her findings showed that patients engaged in virtual reality had lower pain scores than those passively watching a film. She is a member of the American Nurses Association, Arkansas Nurses Association, Arkansas Organization of Nurse Executives, Association for Nurses in Professional Development, Southern Nursing Research Society, Society of Pediatric Nurses and Sigma Theta Tau International. Other fellows previously inducted include College of Nursing faculty members Claudia Beverly, Ph.D., R.N., director of the Hartford Center of Geriatric Nursing Excellence at UAMS; Jean C. McSweeney, Ph.D., R.N., professor and associate dean for research in the College of Nursing; Ellyn E. Matthews, Ph.D., R.N., associate professor in the College of Nursing; and Angela L. Green, Ph.D., R.N., clinical associate professor in the College of Nursing.